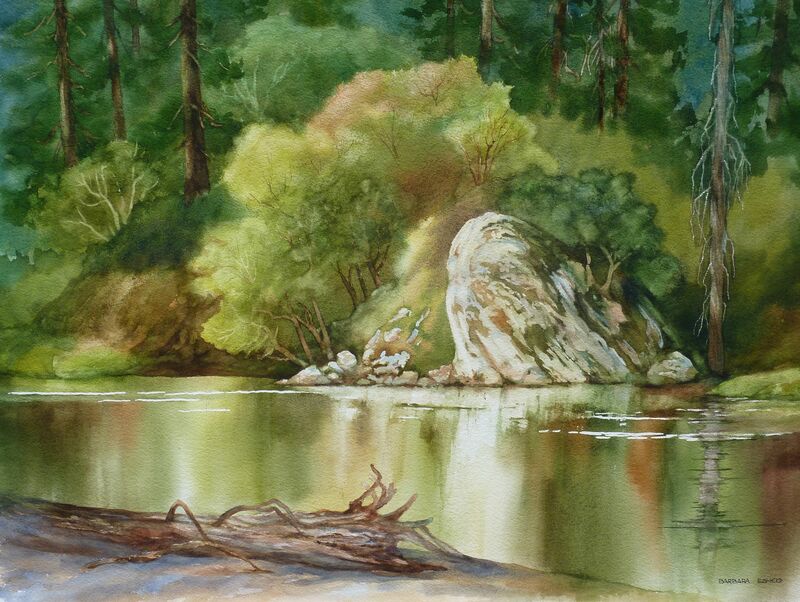 Barbara Eshoo is an established regional artist who is a sweepstakes and award-winning member of the Watercolor Society of Oregon and the Coachella Valley Watercolor Society, California. She has exhibited widely, including solo shows at Hanson Howard Gallery, Ashland, Oregon, Lawrence Gallery, Sheridan, Oregon, and Rogue Gallery, Medford, Oregon. Her work can be found in corporate, public and private collections in the United States, Canada and Mexico. Her images have appeared on covers of numerous publications and have twice been chosen for the annual “Taste of Ashland” poster. 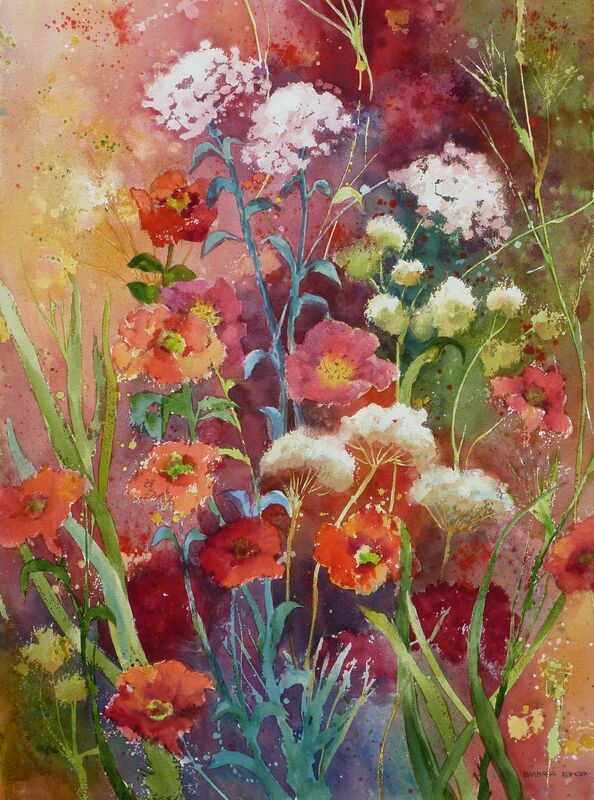 Many paintings are now reproduced in limited-edition giclee prints and fine art cards. Please join us at Art and Soul for wine and snacks. Music will be provided by Craig and Beth Martin.